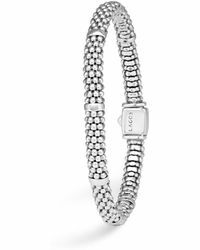 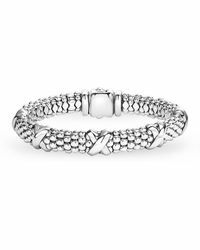 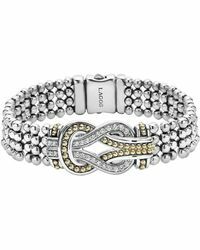 The small metallic beading is what sets the Lagos Caviar bracelet apart from the rest. 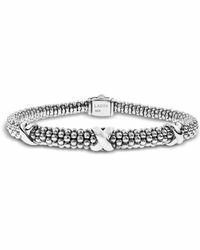 Styled in various forms including bangles, cuffs and link bracelets, the Caviar is handcrafted jewellery at its finest. 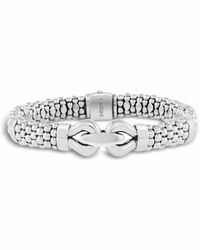 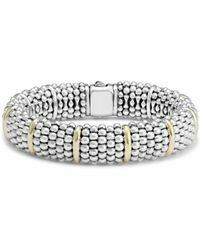 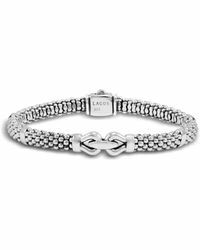 From the classic Caviar to the Caviar Color and Caviar Rope via the Diamond Lux Caviar, these bracelets are Lagos’ signature style. 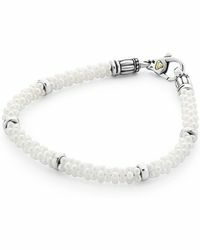 Each one is designed by Steven Lagos before being made from the finest materials including 18-karat gold, sterling silver and precious stones.